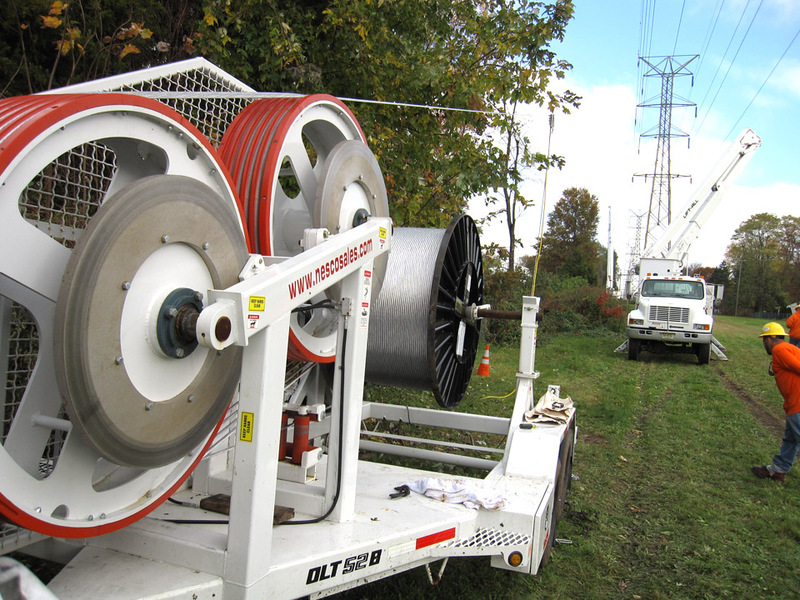 The OLT 52B Overhead Line Tensioner is designed to install single conductor. 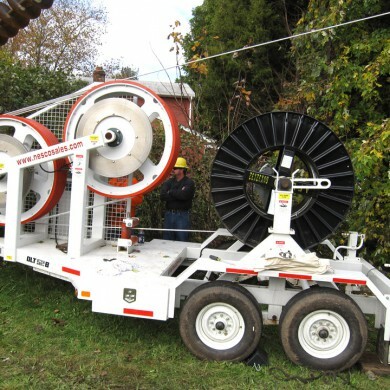 The bullwheels are canted as per IEEE specifications to prevent unnecessary twisting of the conductor during installation. 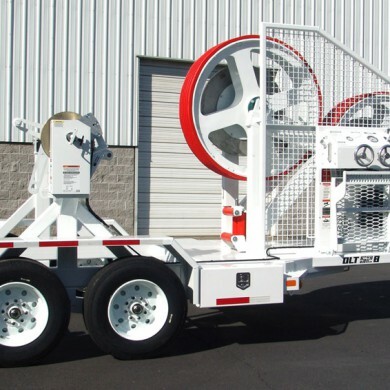 The bullwheels are outfitted with replaceable Diameter Molded segments. 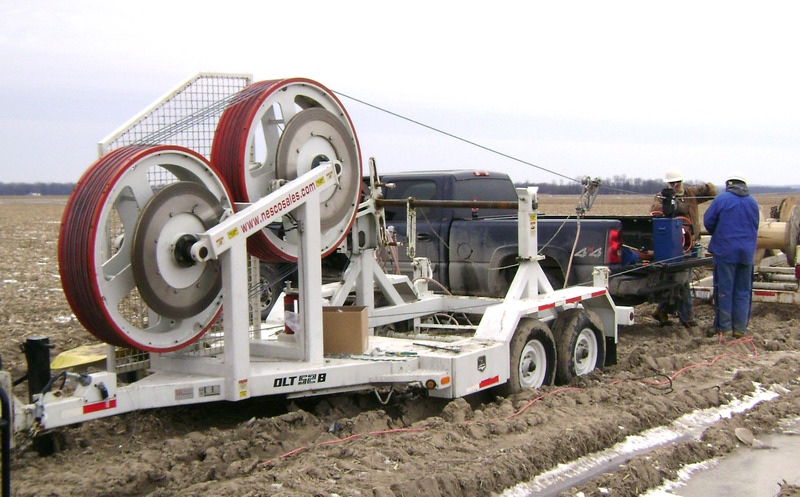 Molding of the segments in this manor eliminates the gaps between segments and creates a smoothe cable surface. 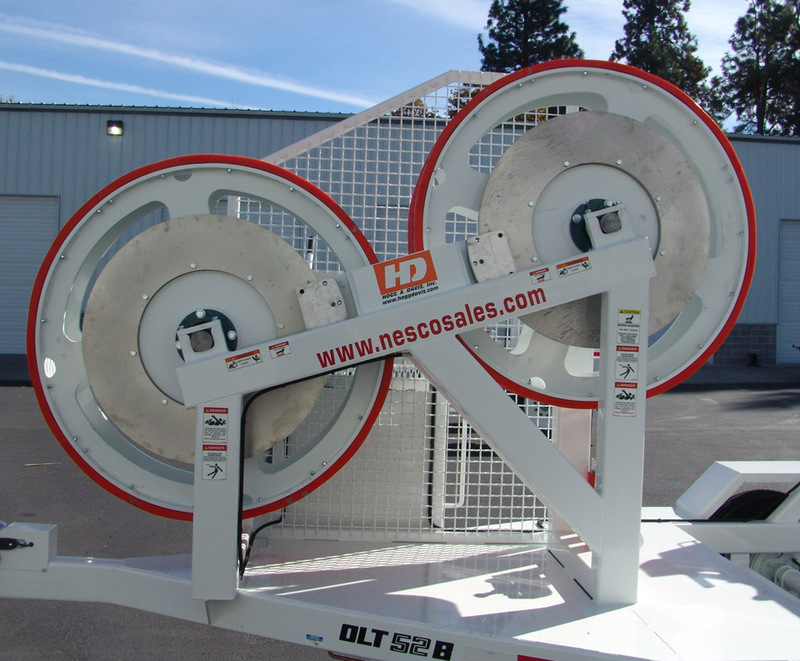 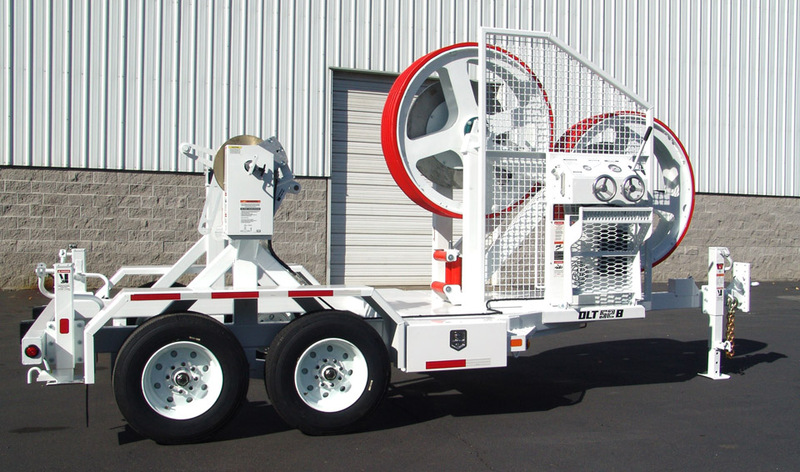 36″ stainless steel disc brakes, with centralized braking controls, allow for precise tensioning of the conductor. 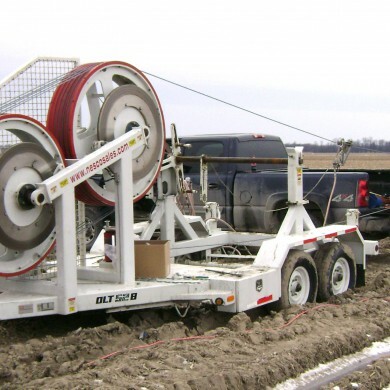 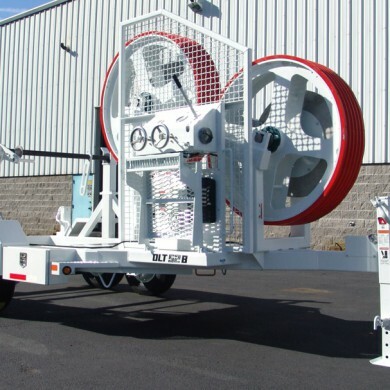 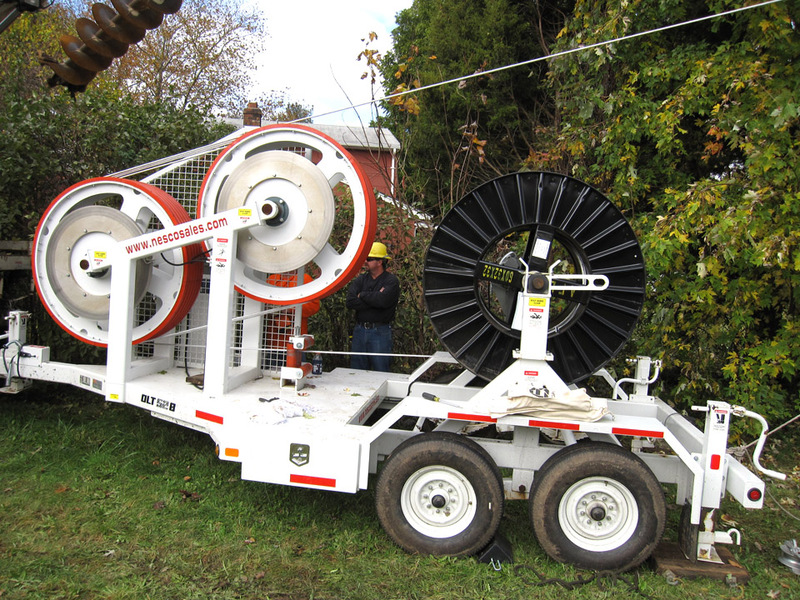 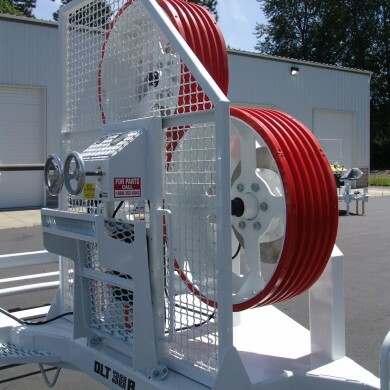 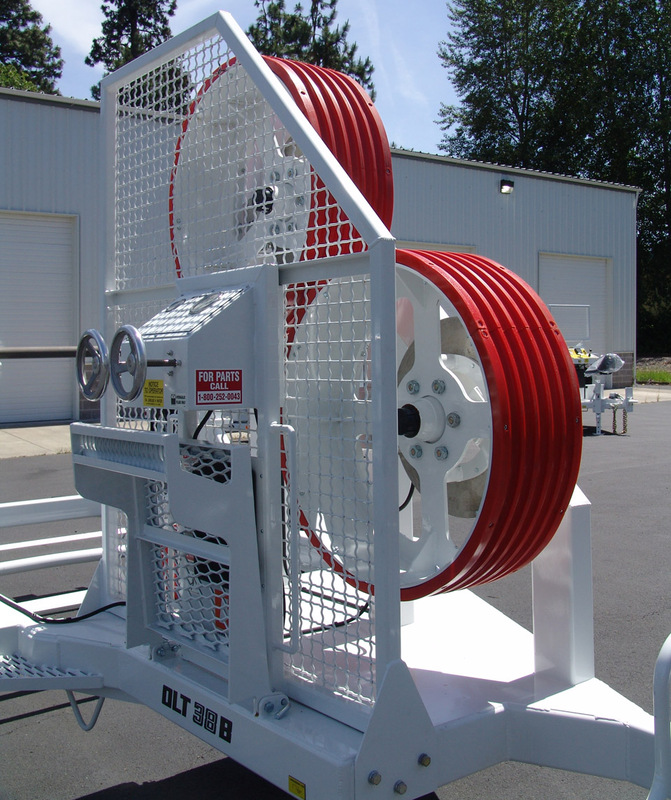 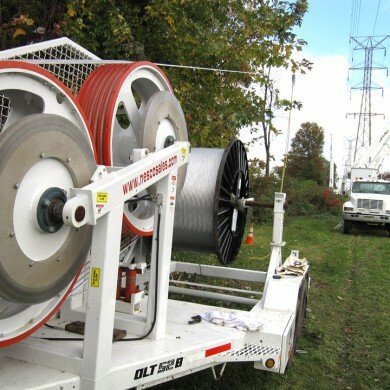 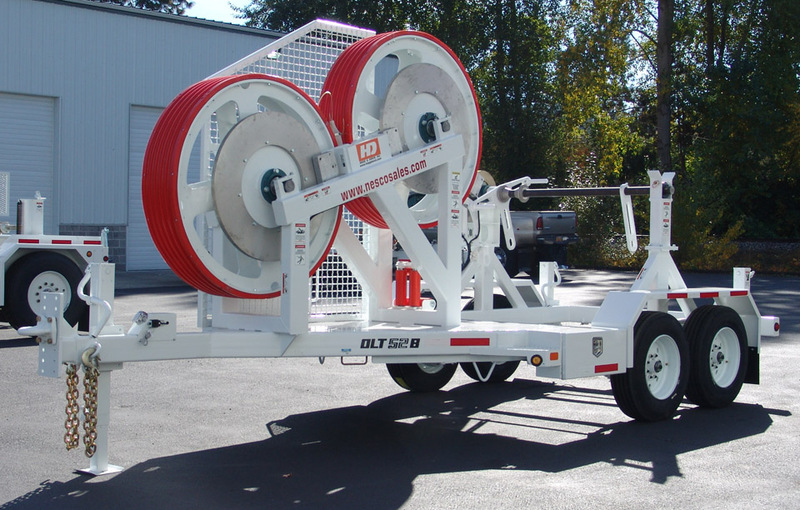 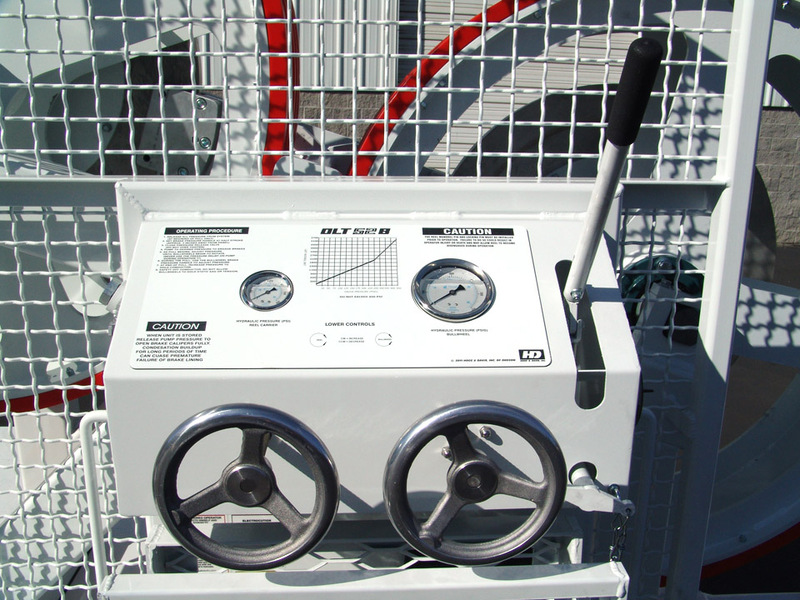 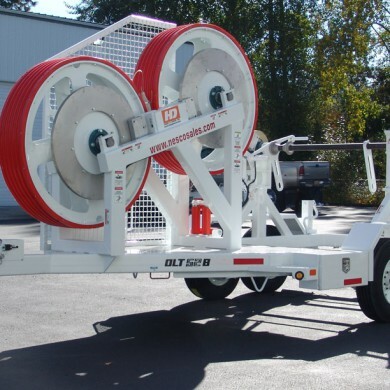 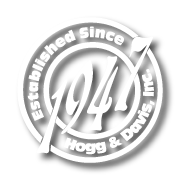 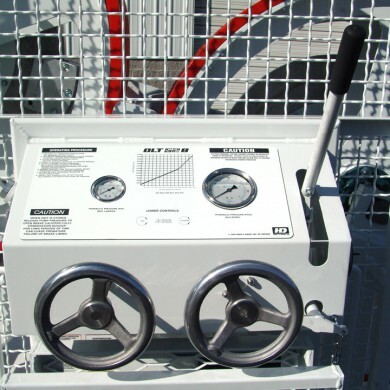 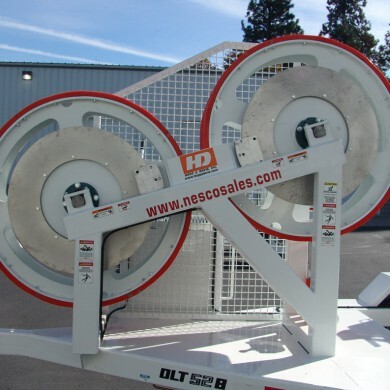 The reel cargo area allows for the carrying of a reel 96″ in diameter and 56″ wide at a maximum weight of 12,000 lbs. 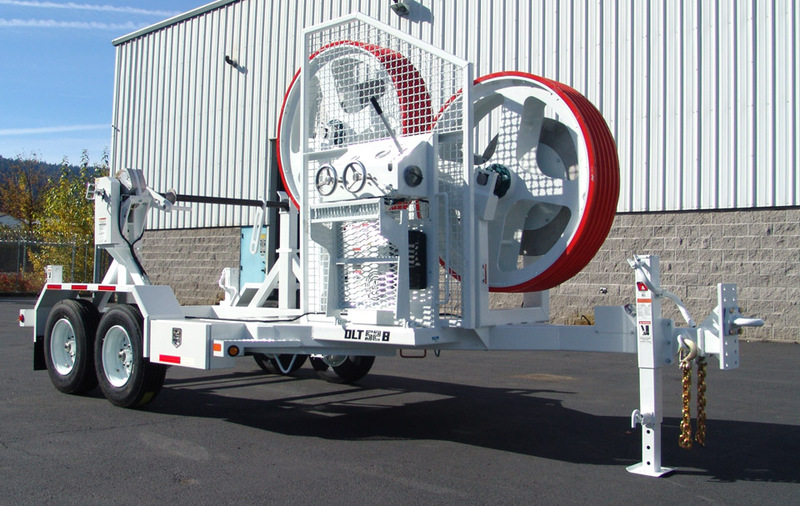 A manually actuated bronze overspin brake is also included as well as a urethane roller fairlead for guiding the cable to the bullwheels.